BMW 118d is a very good car but still a small one and price is not cheap. That is why the vehicle fails to be the best in this segment of automobiles. BMW 118d engines try to perform par excellence in both fuel economy and performance but end up nowhere. The look is not as appealing as some of the vehicles in this class do have. Rear wheel drive excitement is very much there and engine performance record of the producer gives buyers the confidence. 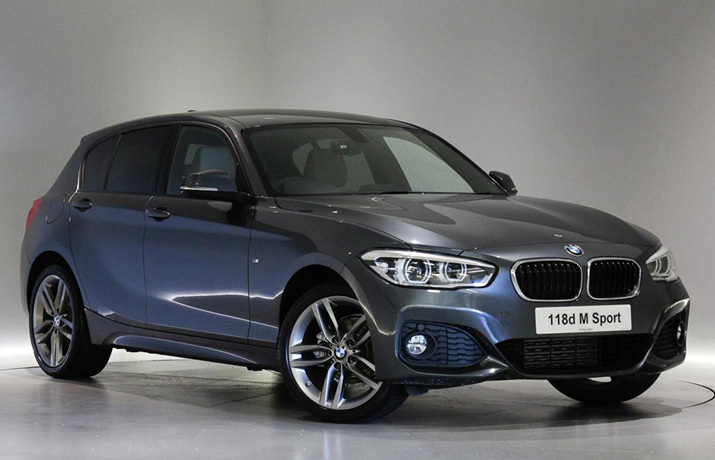 On the performance front, it is the best small hatch and it leads to the popularity of BMW 118d reconditioned engines too so you can get one of them fitted and expect to perform well. The modern-day buyers are also concerned to the appearance and here it lags behind but being a drivers’ car it is hard to beat it. The interior also makes things tougher for the competitors as the 118d cabin is made of high-quality stuff and the setting is also of a high-end car. Then holding the steering and experiencing the power of the engine and agility would not allow you to think any other option. Affordability is surely a condition. The dashboard layout is not intricate and with optional 6.5 inches sat navigation system mapping becomes very lucid. Cabin space for the riders is not ideal though rear seat occupants have reasonable legroom a small car cannot allow as much room as a big car do. Boot space is of 360 litres which are obviously not big. Cars like Leon outdo the practicality so the overall supremacy of this BMW Superb German brand is hard to maintain. The stop-start technology adds to the fuel efficiency and lessens the fuel consumption. Brake energy recovery is another feature to use little for long distances. Eco-pro driving mode is will give you the best possible fuel economy figures. Its 2.0-litre diesel engine is capable of 141bhp but it outshines only when not driven to compete. The sprint time is not the best as SEAT beats it while reaching to 62 m/h speed mark. But when you have to drive other than straight line it is hard to beat BMW 118d. Its steering is accurate and keeps the car moving according to your moves on the wheel. Chassis balance is good so real-time driving of the car is not only fun but becomes hard for the rivals to match the excellence too. The six-speed manual gearbox is fitted in this 1series car. The similarly equipped cars are available at low prices and it is the biggest disadvantage when it comes to sales of units. The top speed is 132mph and time to reach the speed barrier is just above eight seconds. Three years warranty without any limit of miles it covers in this period of time. It is really good for the buyers and gives them a reason to rely on. Two persons on the front seats and three on the rear seats can travel in this vehicle. Among the safety features, you get Electronic Traction Control, brake assist with four disc brakes, intelligent airbags which can be deactivated by using the switch and for the front row passenger and driver there are pretension seatbelts. Head restraints are for all five passengers with height adjustment possibility. Curtain airbags are also present for both rows and the last one worth mentioning is stability control. With all these features the car is a very comprehensive package for the buyers all around the world.